Q: Could you provide our readers brief introduction to your Dream Glass? A: Our Dream Glass is designed for mobile platforms, being the first and sole to offer 100-degree field of view for less than $400, at a weight of around 200g. Hand gesture recognition and positional tracking are incorporated to ensure the full stack of AR experience; mobile based SDK and unity support are provided to ensure easy content developing and broader audience acceptance; unprecedented immersive visual display is optimized for human vision perception to ensure user comfort. Q: What is the biggest advantages of your AR glass? A: We have a very wide Field of view, close to 100 degrees, which let users to interact with a lot of digital contents, delivering the most immersive AR experience. Also, our glass is very light weighed, at just about 200 gram. It is about 1/3 of the other major head mounted displays. WE designed our AR glass to work with your smart phone. It it can be very useful for mobile users to watch a 3D movie or play mobile games in AR fashion. With the wide field of view of our AR glass, It is like adding a 200 inch 3D screen to your phone. The other advantage is that our AR glass is very affordable, whose price is less than 400 dollars. We want to promote AR technology to a broad audience, to really make an impact in people’s everyday life. 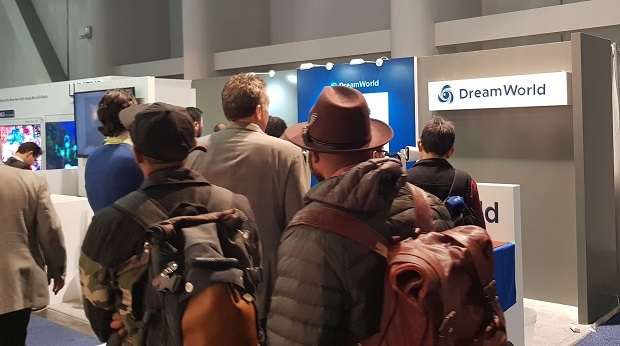 Dreamworld believes in the value of collaboration and looks forward to working with all interested parties to build the new Augmented Reality era, together. Q: What can we do with the Dreamworld AR glass? A: Our Dreamworld AR Glass can be useful for both enterprise and consumers. On the enterprise side, Some of our partners, for example, are planning to use our AR glass for educational purposes, while some other companies want it for industrial applications. On the consumer side, we are working with some partners for some cool games and 3D visual contents. A: CES 2018 is our official appearance to the public. 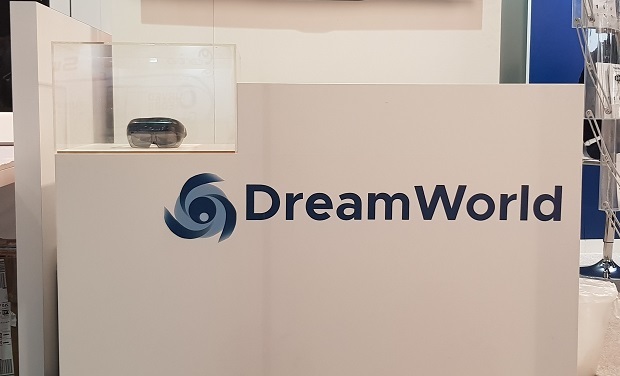 After CES, we are going to focus on the manufacturing of our Dreamworld AR glass. We are going to open the pre-order of our AR glass in Q1 2018, and will deliver the Glass to our customers in a manageable time frame.